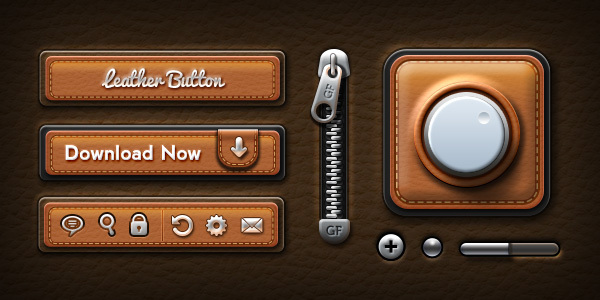 Friends, today’s premium design download is an amazing kit of user interface elements with leather texture. In this resource, there are three buttons, one app icon, zip chain, and some UI elements that you can freely use for your web or mobile designs and apps. Very good for creative designs! The PSD file contains several shape layers organized for each UI element. 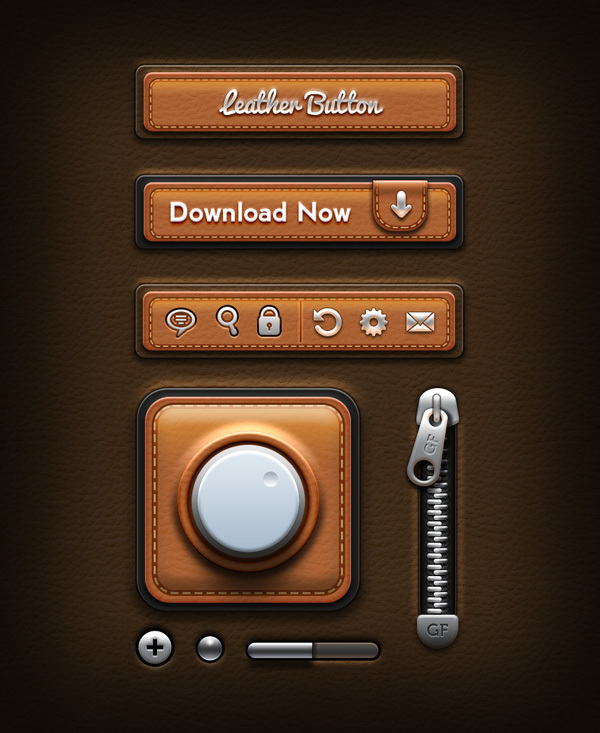 You can easily resize and edit them to fit your design requirement including for retina display. You can change the UI to black and white leather by just un-hiding the color fill layers in the PSD file. So what do you think of this premium file? Do let me know in the comment box.